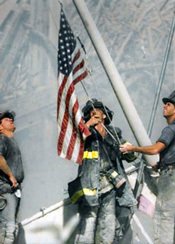 Home of the 911 Flag. 2019 is our 20th Year Online / 30 year in Business. or continue to browse our Warehouse website here. 10 am -6 pm Monday thru Friday. Sales for United Sates only. No Export sales, No Exceptions. Hoosier Gun Works specializes in Gun Parts, Stocks, Magazines and Barrels but also deals in closeout and overstocked sporting goods. We supply many Gunsmiths and Gun Shops in the Midwest and across the country with parts and other merchandise. We enjoy Mauser and Enfield rifles, and stock parts for these. We have been in business since 1989. On the Internet since 1999. Info / Office 270-749-2109. Monday-Friday 10-6 Central Time. We buy as well as sell! Info / Office Hours 270-749-2109. Having some email problems, please call if email will not go thru. Online Catalog Check out our online Catalog! About Us Information about Hoosier Gun Works. News/Specials New improvements to our business, specials, and upcoming events. Links Some of our favorite links. Contact Us How to contact Hoosier Gun Works and ordering information, PLEASE READ BEFORE ORDERING. Ordering Information How to order from Hoosier Gun Works. No Online ordering, we like to talk to our customers.